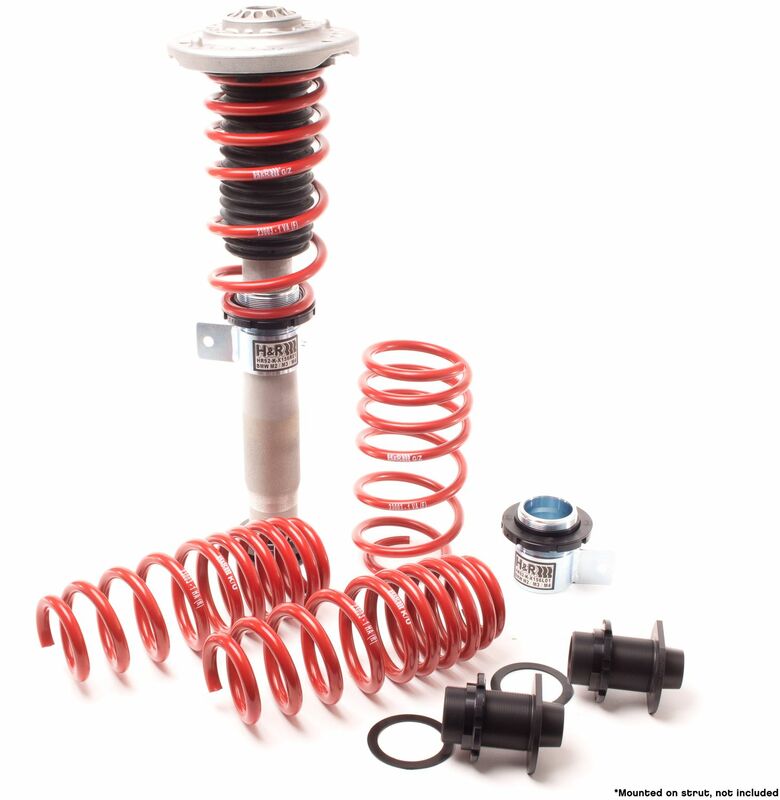 H&R VTF Adjustable Lowering Springs for BMW M3/M4 and M2 | H&R Special Springs, LP. The BMW M3 has always been one of the most exciting and beloved cars around. The awesome M4 and M2 continue this acclaim and the new H&R VTF kit is a perfect fit to fine tune your personal driving machine. We have developed the new H&R VTF Adjustable Lowering Springs to precisely fit the BMW chassis for stable, quiet ride. VTF lets you adjust and fine-tune the lowering amount to your preference. H&R VTF Adjustable Lowering Springs Set (part #: 23003-1) have a lowering adjustment range of approximately 1.2 – 1.8 in the front and .40 – 1.0 in the rear for the M3 (F80), 1.0 – 1.6 in the front and .75 – 1.2 in the rear for the M4 (F82), and .08 – 1.4 in the front and .75 – 1.2 in the rear for the M2 (F87). H&R VTF kits feature application specific engineered adjustment collars to fine tune lowering. Along with specially engineered progressive rate springs, H&R VTF Adjustable Lowering Springs will give your car superb comfort, performance, and style. H&R VTF is designed to work with factory electronic shocks. Perfekt! Like all of H&R’s products, H&R VTF Adjustable Lowering Springs are 100% made in Germany. H&R Special Springs is a German based suspension company that has been built on a foundation of superior quality, true performance, and the best customer service. H&R has established a proven heritage of unsurpassed industry, respect and customer confidence, all of which give H&R the definitive edge in suspension tuning and design. All H&R products are crafted in Germany and exceed ISO 9001 quality assurance standards. H&R maintains a North American facility located in Bellingham, Washington, where additional testing and research are conducted. For more information, visit www.hrsprings.com and trakplus.com or call (888) 827-8881.